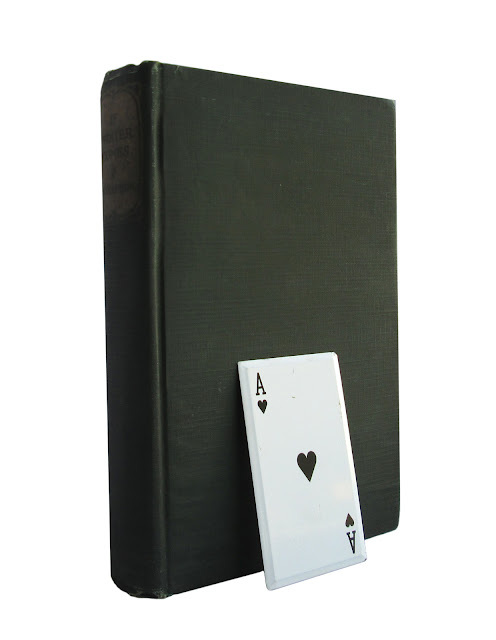 Thick and solid metal playing card, the Ace of Hearts (in black). Beveled edges. Card measures 2 inches by 3.25 inches. Found in "If Winter Comes" by A. S. M. Hutchinson. Published by Little, Brown and Co., 1921.